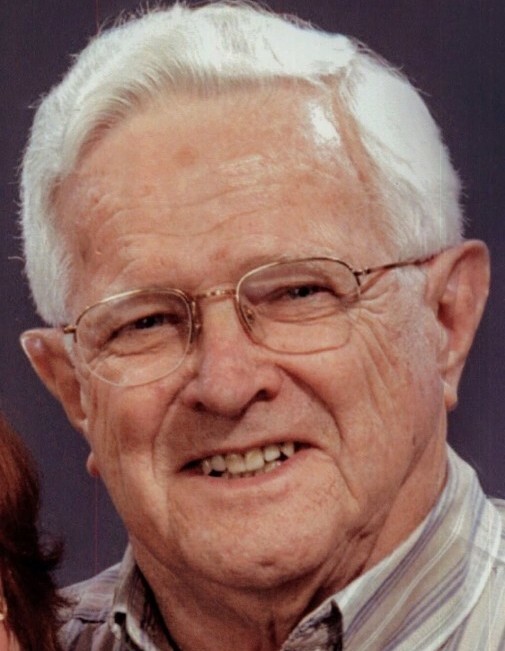 Obituary for Mr. Allen Wing Carr | Hinchliff-Pearson-West, Inc.
Mr. Allen Wing Carr, 90, of Galesburg, Illinois, passed away on April 8, 2019. He was born September 19, 1928, in Fall River, Massachusetts to Wilfrid and Gladys May (Wing) Carr. He was the husband of Joyce Arlene (Manchester) Carr. Allen grew up on his family’s farm on Crandall Road in Tiverton, Rhode Island. He attended Ranger and Nonquit Schools in Tiverton, and Josephine Wilbur School in Little Compton, Rhode Island. Allen and Joyce married on April 15, 1950 in Seabrook, New Hampshire. After their wedding, they raised their family in Tiverton, Portsmouth, and Bristol, Rhode Island and Wayland and Boston, Massachusetts and, in 1964, moved to Galesburg, Illinois. In his early married life, Allen worked on various dairy farms in Rhode Island and Massachusetts. He also worked for Riley Brothers Oil Co. of Tiverton. He was trained as a machinist and became a tool maker, instrument maker, and model maker. He worked for Man Labs of Cambridge, Massachusetts and Aluminum Castings Corp., Cardinal Engineering, Admiral, and Maytag of Galesburg. Allen was a member of the Galesburg Bicycle Club. He spent many hours and weekends riding local rural roads. He finished many century rides in the Midwest and New England. He was an accomplished “hill climber” when riding his bike. It was hard for many to keep up with him. After retiring, Allen spent countless hours in his home shop. He was a precise woodworker, metalworker, and stained glass artist. He loved to plan and draw his projects on his computer using a CAD program. He also designed and built many backyard gazebos. Most of all, Allen cherished his family. Survivors, along with his wife, include his children: Glenn and his wife Sue of rural Warren County, Illinois, Daryl and his wife Peggy of Galesburg, Diane and her husband Winn of rural Keosauqua, Iowa, Kay of Carbondale, Illinois, Stuart of Tiverton and Galesburg, and Jenny and her husband Steve of Madison, Wisconsin; his grandchildren: Laura, Sean, Joe, Heidi, Emmy, Benji, and Riley; and his great grandchildren: Andrew and Oliver. He was also a mentor and a close friend to Bob McCoy and his wife Peggy of Galesburg. Allen was the brother of the late Harold Carr, Phylis Carr, Raymond Carr, Helene Riley, Myrtle Rounds, Sarah Plante, George Carr, Dorothy Flores, Edwin Carr, Janice Field, Richard Carr, and Austin Carr. Cremation will be accorded as requested by Allen. Celebration of Allen’s Life will be 2:00 to 6:00 p.m. Saturday, April 13, 2019 at Sidetrax in Galesburg. Burial of his ashes will be in Pleasant View Cemetery, Tiverton, Rhode Island at a later date. In lieu of flowers, memorials may be made to the American Parkinson Disease Association or Michael J. Fox Foundation. Hinchliff-Pearson-West Funeral Directors and Cremation Service Galesburg Chapel is assisting the family with arrangements. Online condolences may be made at www.h-p-w.com.